It’s been a grueling 10 weeks. We’ve seen nail art that moves, cities come to life, high-fashion pink-and-whites, even full-on fantasy nails. We’ve had to say goodbye to a beloved competitor each week, and each week it got that much more difficult to let someone go. In the end there were two nail techs left standing: Celina Ryden and Sarah Elmaz. Two second-time NTNA competitors, Victoria Zegarelli and Winnie Huang (both originally competed in season one), had to duke it out for the coveted third and final spot in the top. After a record-breaking five-week winning streak, Victoria Zegarelli was eliminated, making Winnie Huang the ultimate Last Chance champion and recipient of the final slot in the Top 3. We now have a purely international top tier of finalists who will go on to compete for the title in Chicago at America’s Beauty Show in March. Learn more about our Top 3 here. 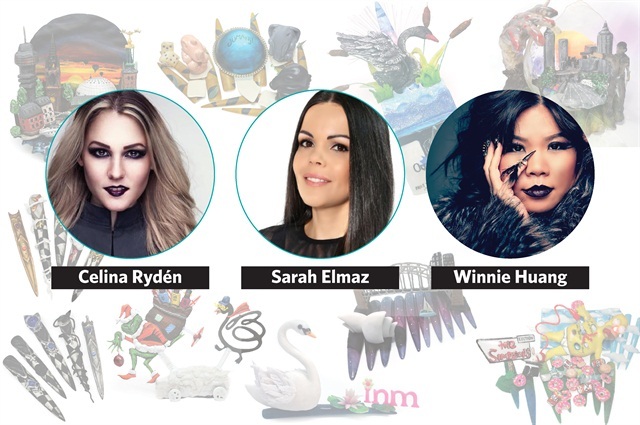 Join NAILS, CND, and our sponsors Akzentz, Bio Seaweed Gel, China Glaze, Dashing Diva, Entity, EzFlow, Gel II, Gelish, INM, and Orly, in congratulating these three phenomenal competitors!